My dad wasn't expected to be out of the hospital by Thanksgiving. But I get a call Thanksgiving morning from my dad. He said "Guess what?" I said "What?" He said "I'm home!" I was elated. I had no idea that they would let him out for thanksgiving. And to know that we were going to be able to spend one of our families favorite holidays together....and Pops was going to be there. It was just all such a blessing. There are no words to describe how much I love my dad (pops). He has been my rock, my friend, my hero, and well, my dad. God Bless him at this time. 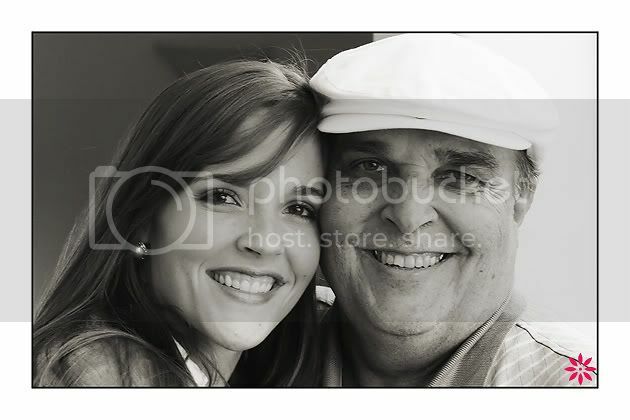 My sweet daddy.